In my teaching years at Wageningen University, the University of Zimbabwe and IHE Delft I have worked with many talented and inspiring postgraduate students and PhD fellows. My current PhD fellows and PhD graduates are listed on this page, and links are provided to the published PhD theses (that in the Dutch system are open access). As can be seen, several PhD graduates have been co-supervised with colleagues from IHE Delft, TU Delft, Wageningen University and VU Amsterdam, including Hubert Savenije, Nick van de Giesen, Stefan Uhlenbrook, Huub Gijzen, Linden Vincent, Ann van Griensven and Roy Brouwer. David Love: Water resources strategies to increase food production in the semi-arid tropics – with particular emphasis on the potential of alluvial groundwater. UNESCO-IHE and Delft University of Technology, 12 September 2013 (with Stefan Uhlenbrook). Eric Ofosu: Sustainable Irrigation Development in the White Volta Sub-Basin. UNESCO-IHE and Delft University of Technology, 13 December 2011 (with Nick van de Giesen). Dima Wadi’ Nazer: From water scarcity to sustainable water use in the West Bank, Palestine. UNESCO-IHE and Delft University of Technology, 26 November 2009 (with Huub Gijzen). Aya Lamei: A Technical-Economic Model for Integrated Water Resources Management in Tourism Dependent Arid Coastal Regions; the Case of Sharm El Sheikh, Egypt. UNESCO-IHE and Delft University of Technology, 13 October 2009. Subha Vishnudas: Sustainable Watershed Management: Illusion or Reality, A case of Kerala State in India. Delft University of Technology, 19 December 2006 (with Hubert Savenije). Alex Bolding: In hot water: a study on sociotechnical intervention models and practices of water use in smallholder agriculture, Nyanyadzi catchment, Zimbabwe. Wageningen University, 15 December 2004 (co-promotor; promotors: Linden F. Vincent and Niels Röling, Wageningen University). Emmanuel Manzungu: Strategies of smallholder irrigation management in Zimbabwe. Wageningen University, 15 December 1999 (co-promotor; promotor: Linden F. Vincent, Wageningen University). Hermen Smit: Institutional analysis of water resources management in the Blue Nile river basin, Ethiopia and Sudan (with Rhodante Ahlers). Rahel Muche Kassa: The gendered nature of land and water management in the Blue Nile (with Rhodante Ahlers). Aline Saraiva: Risk-based operational water management for the Incomati River Basin (with Stefan Uhlenbrook and Iyas Masih). Reem Fikri M.O. Digna: Optimal operation of the multi-reservoir system in the Eastern Nile basin considering water and sediment fluxes (with Stefan Uhlenbrook and Yasir Mohamed). Tobias Renner: Transboundary river basin management (with Sander Meijerink and Toine Smits, Radboud University) (part-time). Christiana Metzker Netto: Water knowledge creation in networks (with Uta Wehn). Fernanda de Souza Braga: The impact of the dictatorship period in managing conflicts over water use in Brazil (with Edmund Amann and Marianne Wiesebron, Leiden University). Tesfay G. Gebremichael: Modelling the impact of catchment management dynamics on the hydrological process in the headwaters of Tekeze-Atbara River Basin (with Yasir Mohamed). Mohammad Gharesifard: Mapping the behavioural determinants of ICT-based citizen participation in water management (with Uta Wehn). 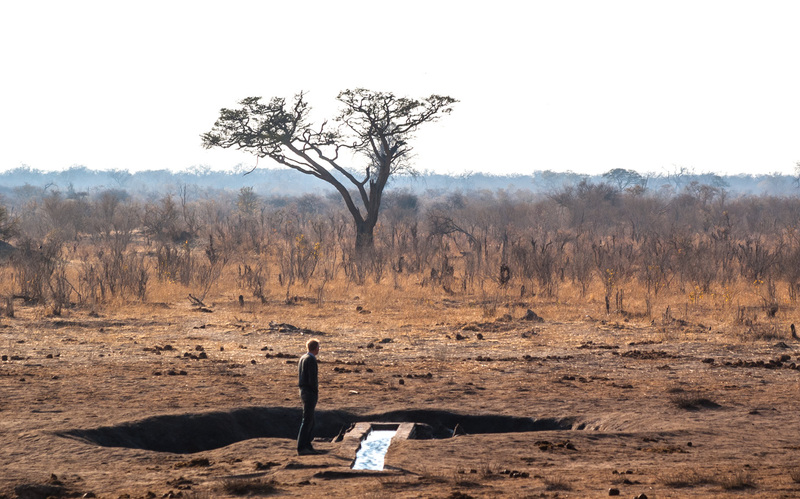 Annelieke Duker: Evaluation of the robustness of irrigated farming systems along ephemeral rivers in Ethiopia and Zimbabwe (with Charlotte de Fraiture). Anjana Ekka: Economics of river ecosystem – a hydroeconomic modelling approach to river basin management (with Yong Jiang and Saket Pande, TU Delft). Afua Owusu: Improved reservoir operation policies for implementation of environmental flows (with Jill Slinger, TU Delft, and Marloes Mul).